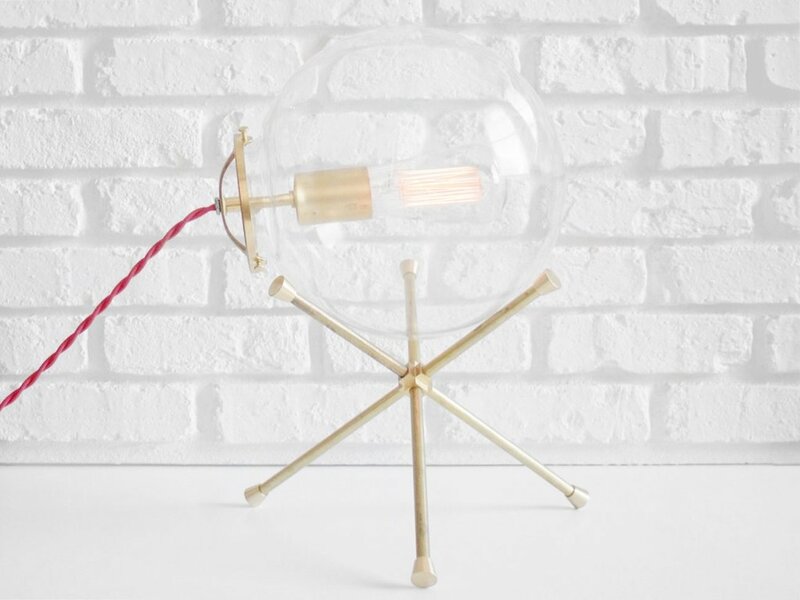 Add a minimalist light to your home with the MPDESIGNSHOP Decatur Modern Table Lamp, which offers a modern twist on an industrial table or desk lamp. 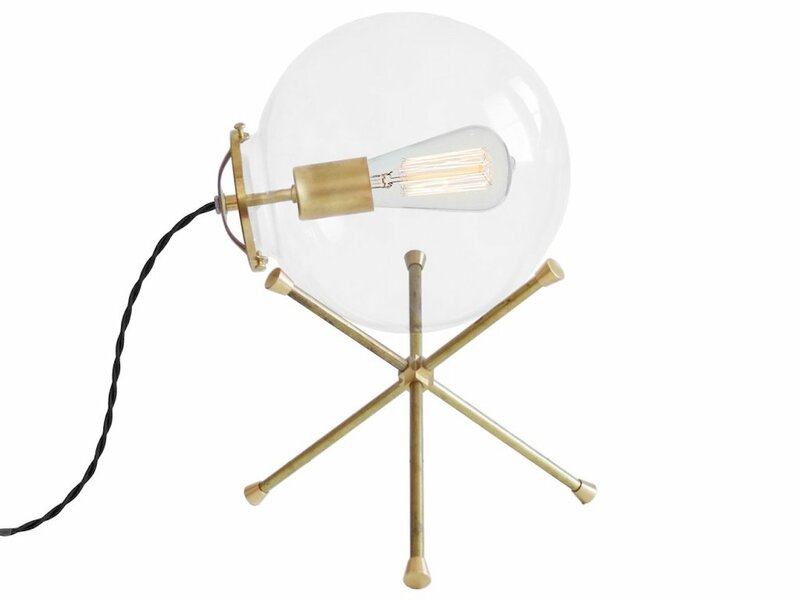 Add a minimalist light to your home with the MPDESIGNSHOP Decatur Modern Table Lamp. 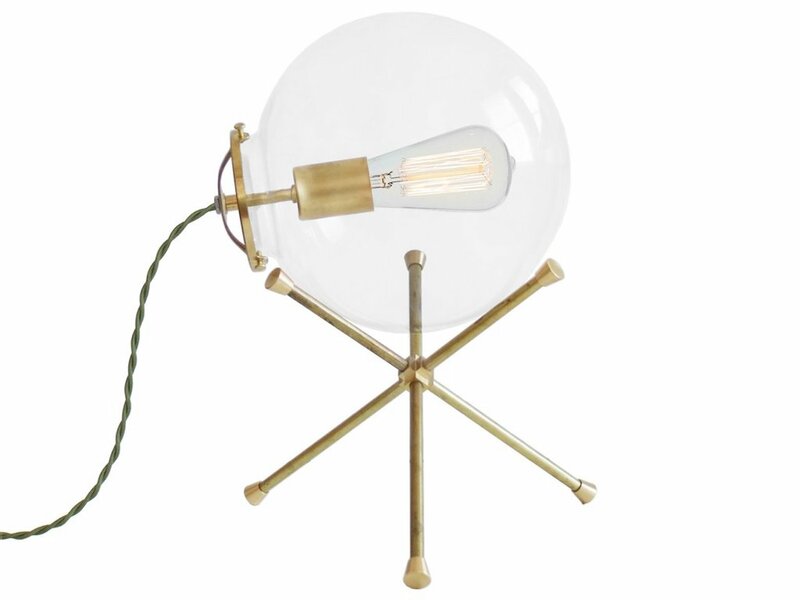 Handmade in New Orleans, the Decatur Lamp offers a modern twist on an industrial table or desk lamp. 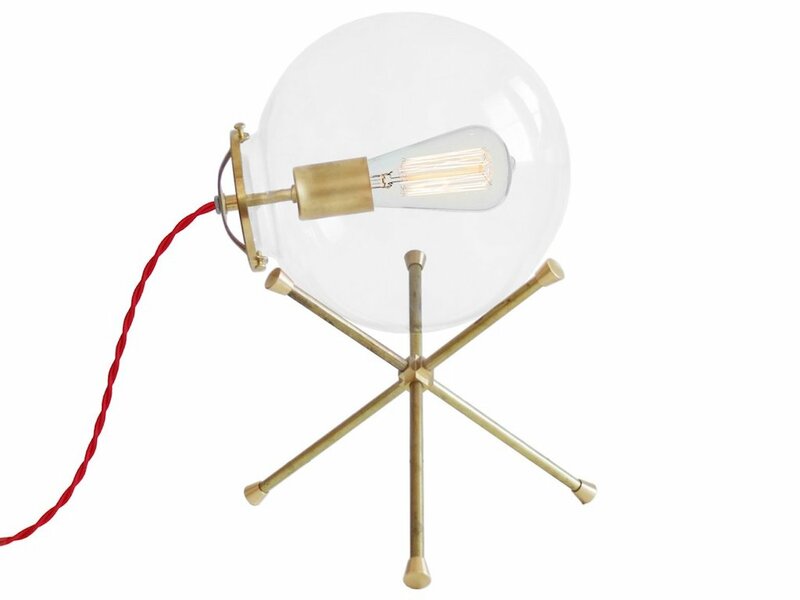 The lamp comes with a beautiful glass globe shade that is hand-spun. Additionally, it features an unfinished brass collar and socket. 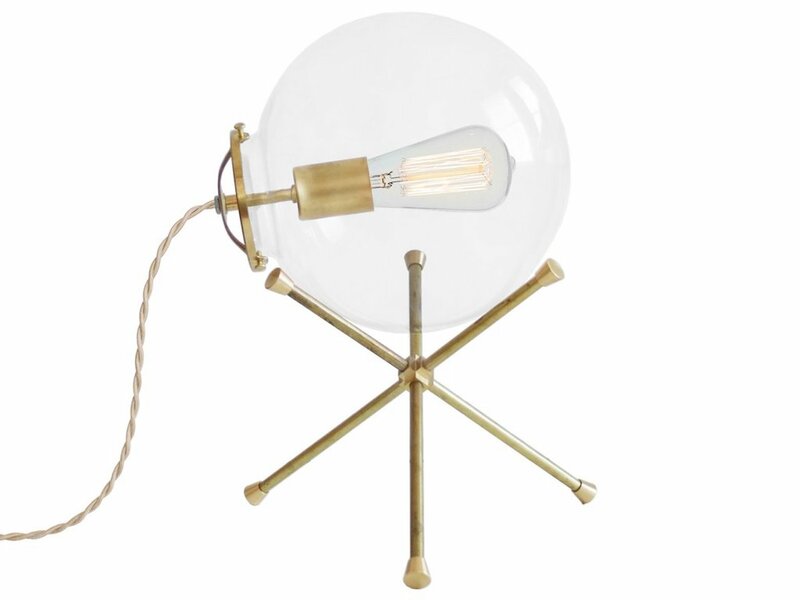 The light stays upright on the unfinished brass tripod base. It also offers durable cotton cording in multiple colors. You can choose between a Black, Green, Red or Putty twisted cord. 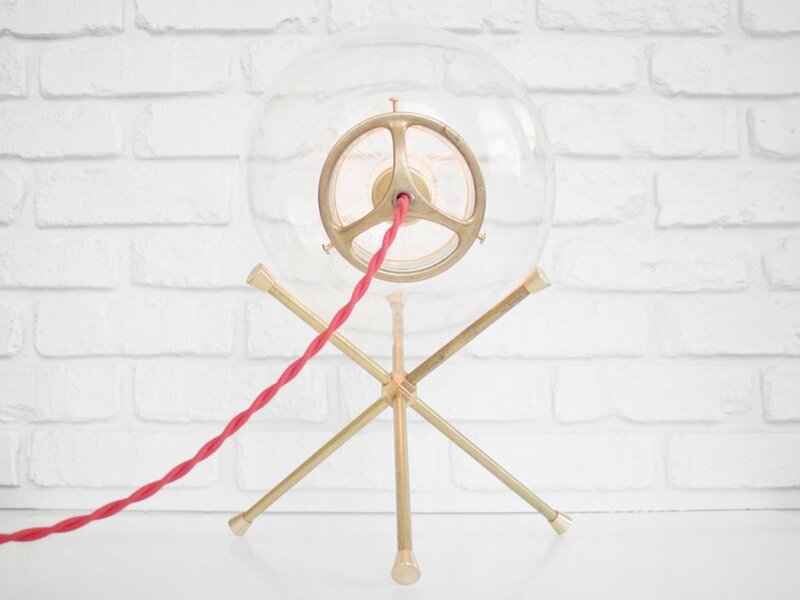 With a cord length of eight feet, you can place this lamp anywhere you want a little extra glow. The Decatur Lamp is keyless, meaning it doesn’t have an on/off type. Finally, the lamp’s maximum bulb wattage is 100W.